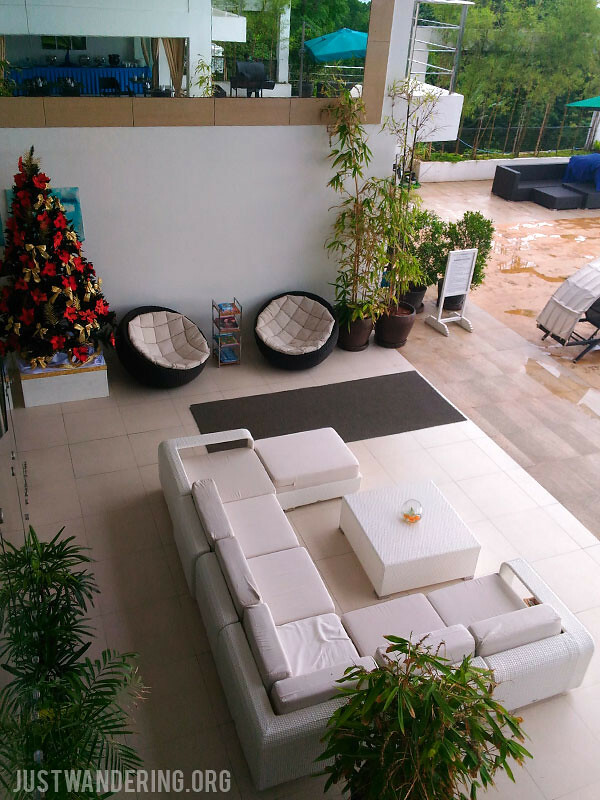 The deal we got was for an overnight stay at a Premier Deluxe room at Ocean Suites Bohol. 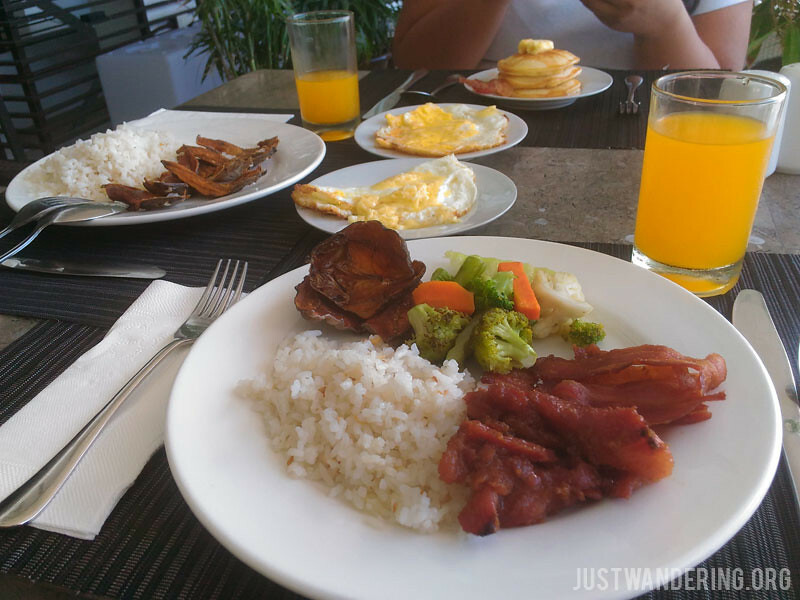 The deal price is Php 3,700 for an overnight stay with buffet breakfast for four. 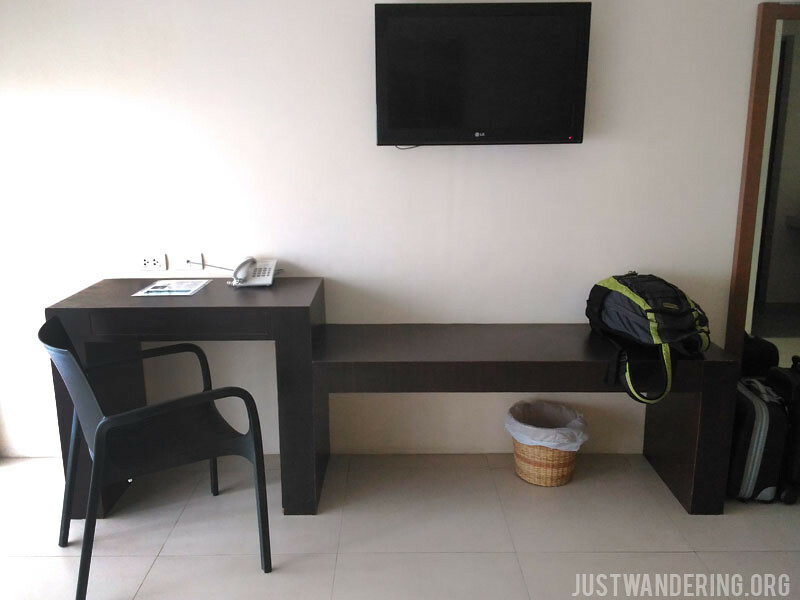 It’s a pretty good deal, since if there are four of you sharing the room, you’ll be paying less than Php 1,000 each per night. Not a bad deal when you’re looking to indulge with good accommodation, but not wanting to spend your entire bonus on a hotel room. The deal also includes one-way airport or seaport transfers, so we scheduled our stay at Ocean Suites on our last day in Bohol. Ocean Suites Bohol is located right beside the Blood Compact Site. Literally right beside it. 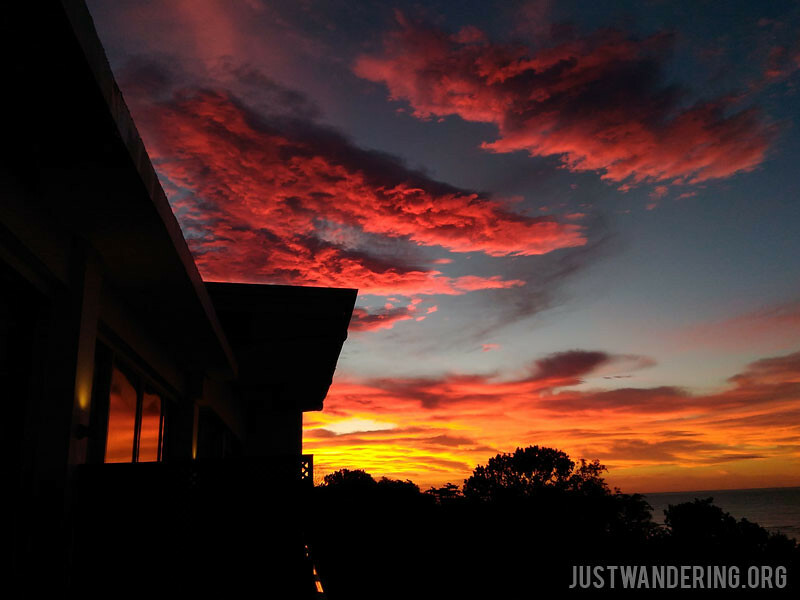 It is perched on the side of the island looking towards Panglao Island, and the view is amazing any time of the day. Despite the name, the suite is actually a room with a balcony. The architecture of the building is great — we love the modern and minimalist look of the hotel. However, our room is both spacious and cramped at the same time. There is plenty of open space between the door and the glass door to the balcony, plenty of space on the side of the desk and TV, but the area where the beds and toilet is cramped. 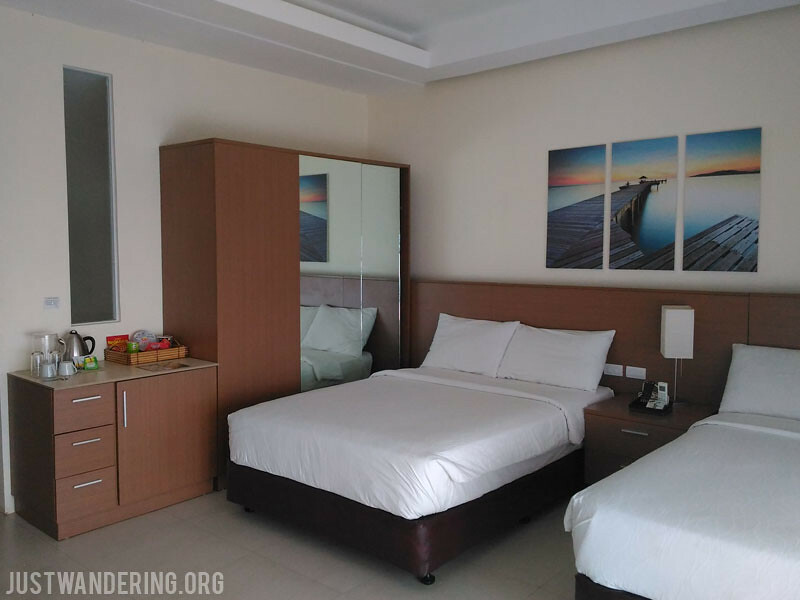 There are two double beds — one is practically pushed right up to the glass balcony doors, and one has about a 10-inch gap with the closet and minibar. 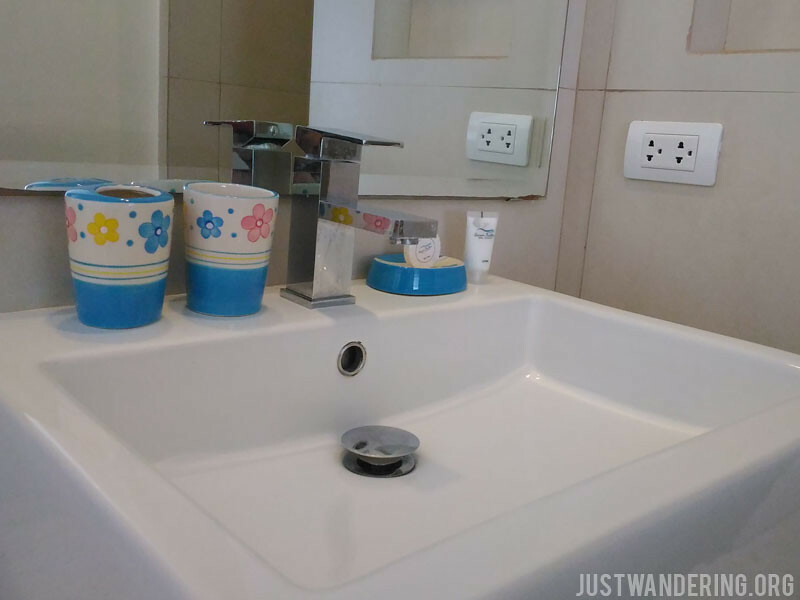 The toilet sink is situated right beside the door — it’s actually nice since at least you can brush your teeth while someone’s taking a shower. I couldn’t get a decent photo of the bathroom, so here’s a close up photo of the sink. Maybe we just got used to the huge toilet and shower in the resort we stayed at prior to Ocean Suites, but their bathroom feels miniscule. But the water pressure in the rainfall shower head is strong, so it’s not so bad. 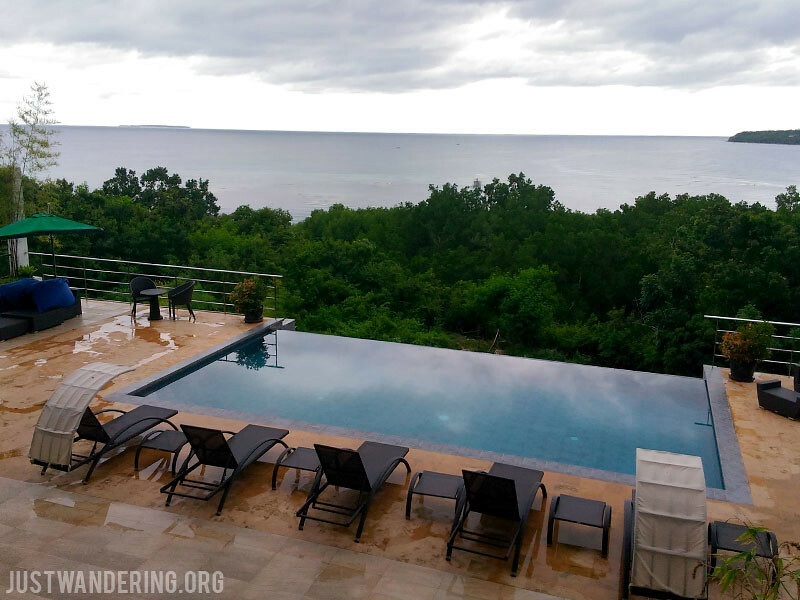 Ocean Suites has two infinity pools that looks out towards the sea and Panglao, and we really enjoyed swimming there after our countryside tour and before we checked out of the hotel. The other guests had the same idea, but at no point did the pool felt crowded. 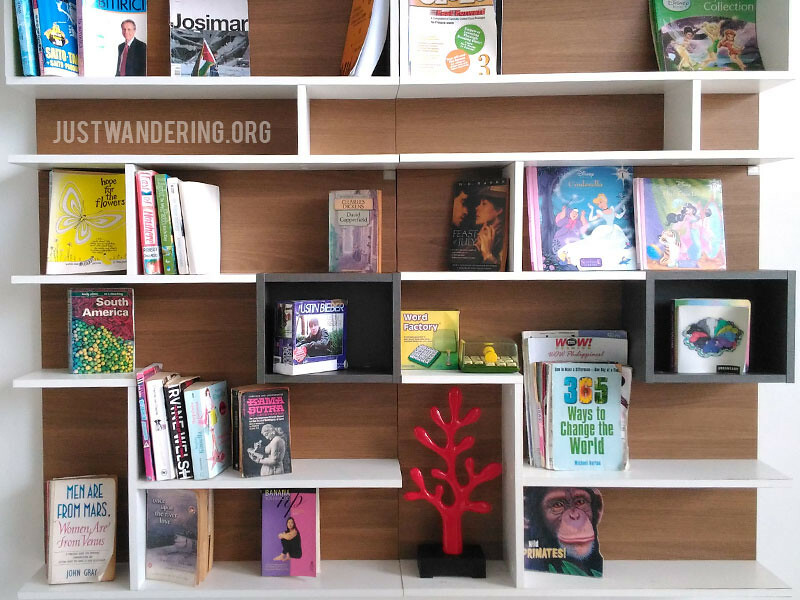 If you don’t feel like swimming and don’t feel like using your gadgets, you can also pick a book from their mini library and read it at the lounge or by the pool. 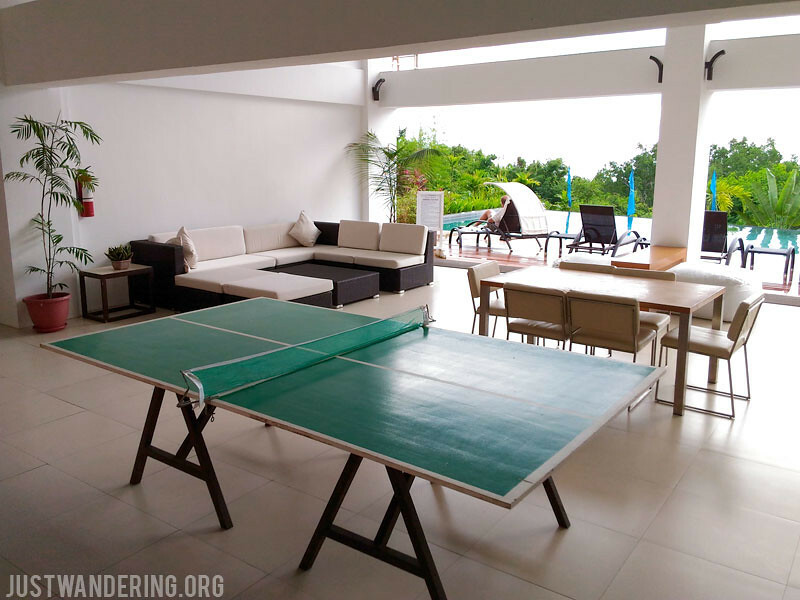 They also have a ping-pong table, and some comfortable couches if you want to play board games. 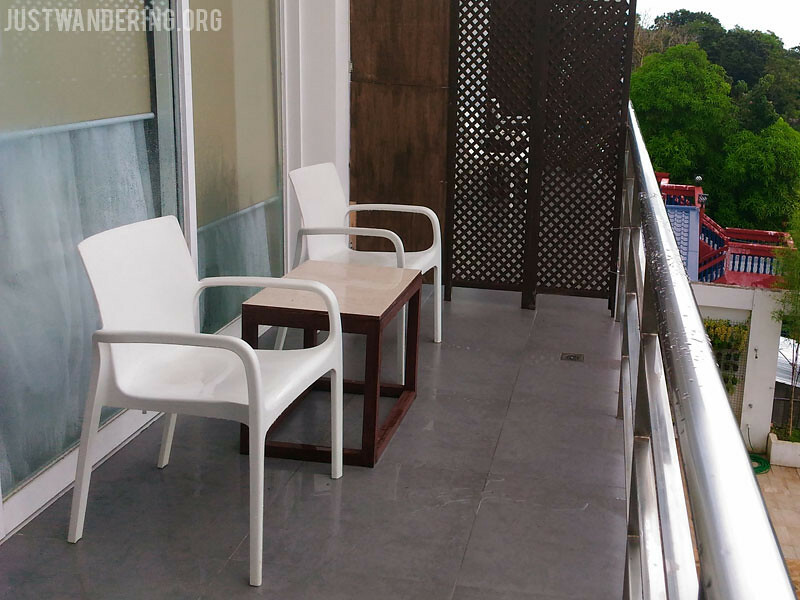 The resort has four floors and no elevators, so if you have mobility problems or difficulties with using stairs, this may not be the place for you. For our dinner and lunch, we didn’t bother venturing out of the Ocean Suites and opted to try their restaurants. 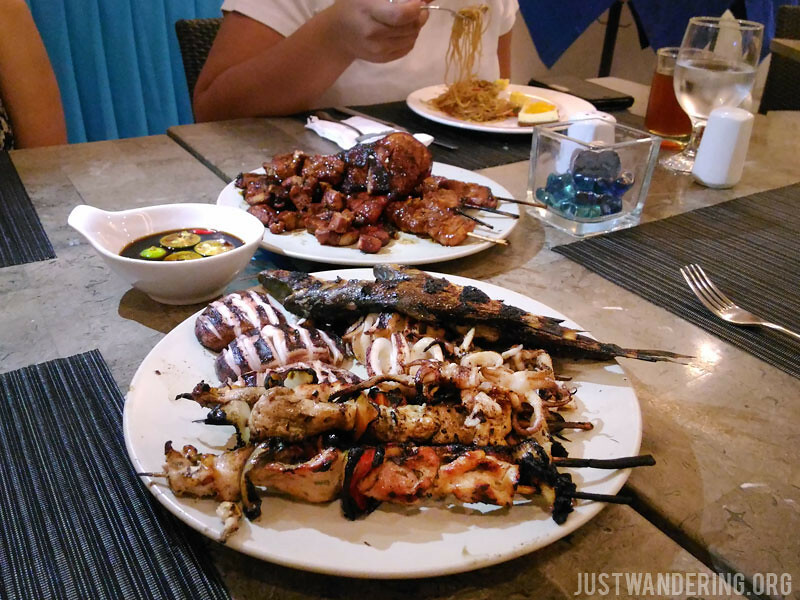 The Azure Restaurant offers a barbecue buffet every weekend for Php 499 each. 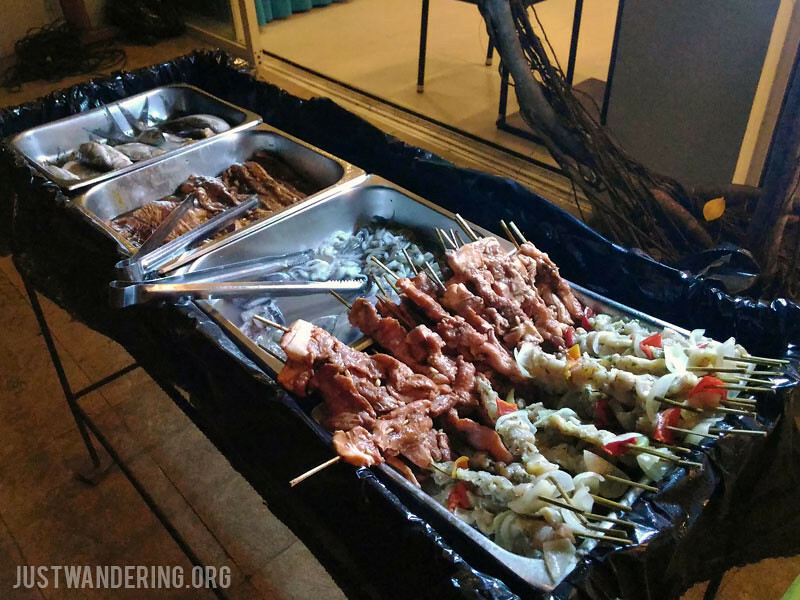 There are marinated pork belly, pork barbecue, chicken skewers, fresh fish, and fresh squid available for grilling, and you just pick out what you want to have and their chef will cook it for you. While I’m a big fan of all things pork, the squid is the clear winner here — perfectly cooked and very very tender. Forget the meat, go for the squid! Depending on the volume of people, your grilled goodies might take some time to reach your table. While waiting, you can whet your appetite with soup, rice, noodles, veggies, and dessert, which is also included in the buffet. Breakfast is also at Azure, and the selection is pretty okay. There was soup, fried rice, pancakes, fried danggit, tocino, cereals, fruits, and an egg station. 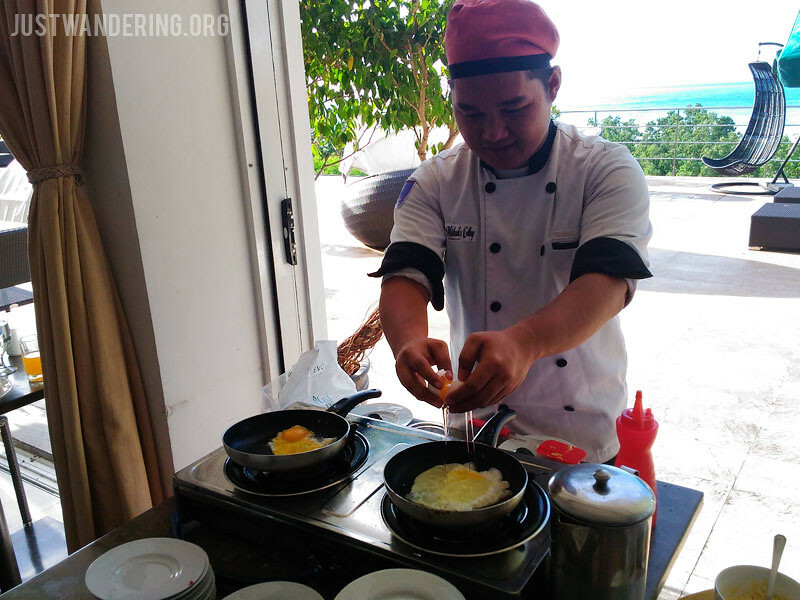 They were very accommodating at the egg station, and the chef was quick to cook our requested egg white omelette. Our flight back to Manila isn’t until 2pm, so after check out and while waiting for our transfer to the airport, we had lunch at the Ocean Cafe (since we know the options are limited at Tagbilaran Airport). We had pizza, some kind of baked pasta with shrimp, and fish and chips. 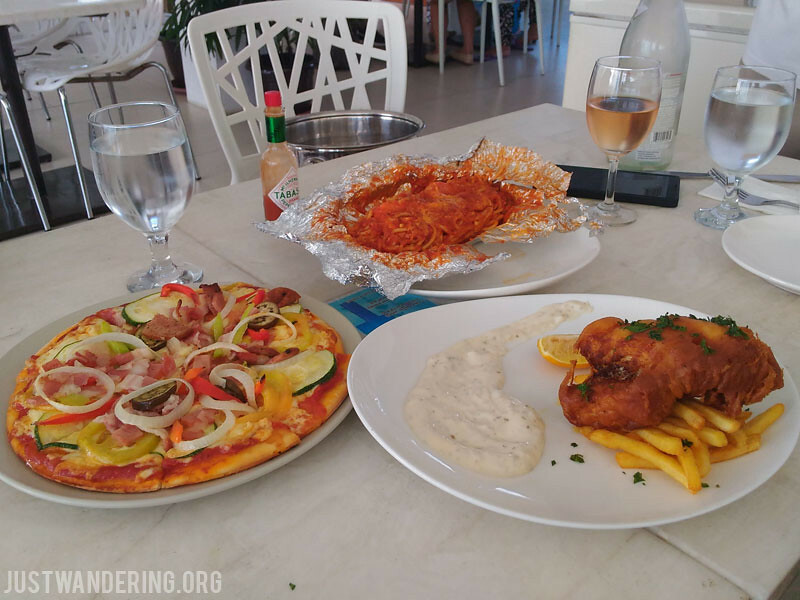 The pizza was so-so, the baked pasta was really tasty (and surprising considering its presentation), and the fish and chips was fantastic, mainly because it’s a huge, meaty chunk of fish that is not cream dory. If you have your own alcoholic drinks, they charge a Php 500 corkage fee. 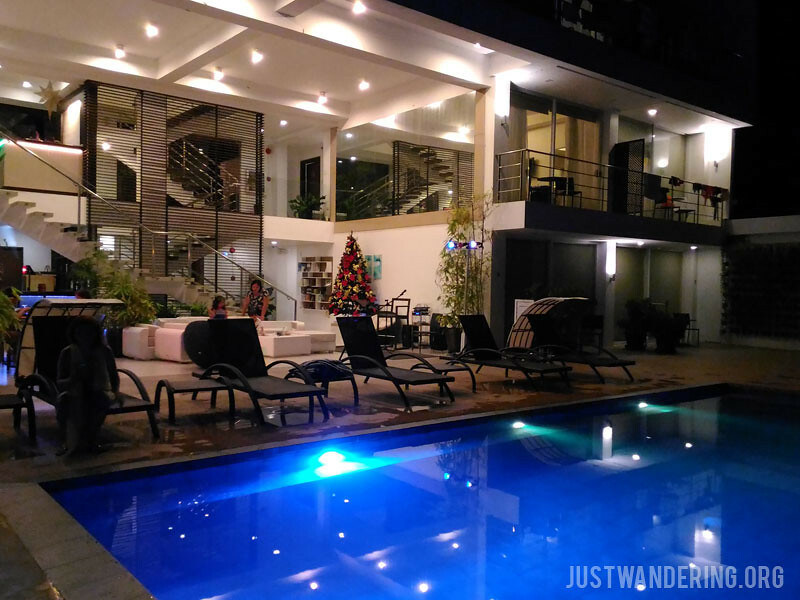 Why would you stay in Tagbilaran when the beach resorts of Panglao is just a ride away? If you’re like Bea, who is allergic to salt water, or if you’re not fond of sand, this would be a good option for you. The hotel is also 15 minutes away from the airport, so you can also consider Ocean Suites if you have an early flight the next day. Spectacular sunrise on my first morning as a 35-year old. It’s actually a pretty good place with reasonable prices. The food at the restaurants are also pretty good, so I count that as a point for the hotel. That view though? I can spend hours in the balcony just staring out into the horizon. Among all the coupon sites that sprung up in the past years, it’s Deal Grocer that I really liked. The quality of the deals on offer are really good, and they feature good brands and properties. I’m headed back to Bohol next year, and I’m definitely watching the Getaways page on Deal Grocer! Thank you to Deal Grocer for the complimentary voucher! Greetings from Palawan. 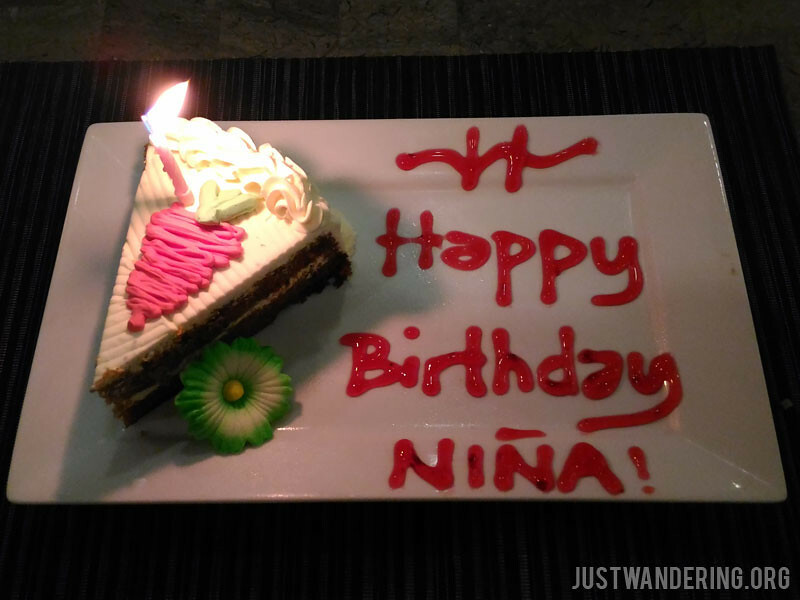 Happy Belated Birthday Nina!! I like the design of the place. Very contemporary. This is a nice suite. I love the swimming pool. Foods are looking delicious. What a great place to stay, hoping to visit this place someday.